Use a Mac and want to file away the things you’re reading in NetNewsWire quickly? NetNewsWire is the heart of my browsing experience these days. I’m spending as much time reading feeds as I do browsing the web and it’s important for me to be able to keep track of the things I am reading and want to reference later. Once Evernote enabled Applescript support, I realized that I could file away the feed items that were useful to me. Evernote is a real life-saver: It’s accessible from practically every type of computing platform short of an abacus. If you have a Mac, your notes become part of your Spotlight index. Fewer ideas and articles get lost. For someone like me who is working on a dozen different projects simultaneously, this is a real “quality of life” improvement — not just another piece of tech that leaves you less organized and your mind more cluttered. I have added tag support, which lets you tag items on the way into Evernote. The script will also retrieve an alphabetized list of your current Evernote Notebooks and allow you to select which notebook to archive the feed items into. Want to make a new notebook? No problem — the script has a “Create New Notebook” button which will let you do that on the fly! Automatic Growl detection has also been enabled which will save you a trip to the Script Editor to enable/disable it. I never figured out how to successfully write the NetNewsWire item’s URL into Evernote’s “source URL” value without using the “create note from url” command. I chose to use the “create note from html” approach because the results were sometimes more visually appealing once the note arrived into Evernote. I am hopeful that this will eventually be possible; WORKING PROPERLY IN VERSION 1.01! Just drop it into the NetNewsWire Script Folder! For my workflow, I am using ⌘ E (as in Evernote) for the quick single post script shortcut and ⌘ SHIFT E for the batch script. Okay all you Applescript Ninjas — here’s the code… Dive in, check it out, and tell me how to make it better in the comment thread below! Installation: Just drop it into the NetNewsWire Script Folder! try --IS IT A TAB OR A HEADLINE? if (index of selected tab is not 0) then --IT'S A TAB!
"" to Evernote" application name "NetNewsWire to Evernote"
else if exists selectedHeadline then --IT'S A HEADLINE! try -- HACK FOR MISSING BODY TEXT IN SOME ITEMS! "No headline or tab selected!" application name "NetNewsWire to Evernote"
application name "NetNewsWire to Evernote"
Did this script help you out? Feel free to make a donation! Found a bug in the script? Click Here To Submit Your Bug Report! Interested in what other scripts are available for Evernote? Click here to see the latest list! Thank you very much. But can you reduce the number of popups? Which of the menu screens are you not finding useful? Brilliant. Thanks a lot for sharing this one. How do you enable this without installing fastscripts? I have installed it already and tested it using Applescript, but I wonder how you can activate it through NNW. Thanks. Brilliant, btw. If you’ve already moved the scripts into NetNewsWire’s script folder, then it should be available from the pull-down menu. 4.) Just drag-and-drop the AppleScript files into that Finder window and the scripts will be available from the Script list! You can also set a keyboard shortcut for NetNewsWire without Fastscripts, by simply adding your shortcut to System Preferences>Keyboard>Keyboard Shortcuts>Application Shortcuts… Love this script btw! This works great, thanks! It would be great of the second pop-up (notebook) would be optional so that notes are always put in the default notebook. Thanks a lot for this, it’s really useful. I was wondering whether it would be possible to extend it to automatically move items from a particular folder (and then delete them from the folder). I have very little idea about Apple Script, so have no idea whether this is possible, but it would be amazing for my needs. I use Netnewswire on the iphone and use the ‘add to clippings’ feature on the phone for articles I want to come back to. What would be great would be if they automatically got transferred to Evernote. I suppose this could be done by running a ‘Archive items in the Clippings folder’ daily, or something? Any suggestions very much appreciated! It’s definitely possible to run an AppleScript on a schedule and, with a few modifications to the “batch send” NetNewsWire to Evernote script, you could do exactly what you are talking about. If you’re interested, let me know and we can discuss a customized script for your needs. For someone that is just getting started with AppleScript/Scripting and wants to run a “daily script”, it would probably make more sense to download an application that does this for you (or serves as a “front end” to the OS X “cron” service). That said — you may want to wait. The mobile version of Evernote allows other iPhone apps to ‘Send to Evernote”. Right now, the only one that I know is currently working is the AP News app….but the Evernote guys have been hinting that there are several more apps with this feature on the way. Personally, I would leave a message on the NNW iPhone Forum asking about adding in a “Send to Evernote” button and see what Brent says… I know he’s working on a new version now. Hi, it appears that the Single-NNW-Evernote script no longer works properly with the latest beta version of NNW. The pop-up appears, followed by a Growl notification that the item has been imported but I the item does not show up in Evernote. It’s still working on my installation! Anyone else having trouble? Are you running NNW 3.2b14? 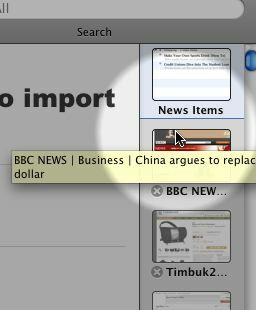 Are you having trouble with exporting headlines, tabs, or both? Have you tried uninstalling/reinstalling the script? I’m running the latest beta. Not sure whether I’m exporting headlines or tabs (in evernote I see the full contents which is available in the preview pane). I did a full uninstall (including the support folders) and re-installed NNW. Still the same problem. It’s strange that I get a growl notification that the note was successfully imported. BTW, I’m experiencing this on 2 machines. I worked fine at first but it suddenly stopped working. Weird. Does your problem happen on both types? You are using Script Version 1.1? Ok, I ran some tests. I’m able to export a tab (I never use this since it basically exports the whole web page (in browsing mode) for that particular item, right?). I noticed that the evernote icon in my dock doesn’t bounce any more like it used to when I exported an item. I don’t know why. Here’s the strange thing I found out. The export function (for headlines as I always use) works for certain RSS feeds but does not work for other feeds. For example, I’m able to export feeds from “David Allen Company” (again, evernote icon does not bounce) but I’m not able to export feeds from “lifehacker”. Also, for David Allen Company I’m able to create new tags but this does not work for lifehacker. Your tests and specifics were invaluable in quickly getting to the bottom of what was happening…. Many Thanks! When I looked at the Lifehacker item in my debugger (as well as another Gawker Media RSS feed), I saw that the AppleScript element in NNW called (description of selectedHeadline) was empty. In AppleScript terms, this is supposed to be the “Body” of the item and the fact that it was blank is pretty perplexing. I quickly wrote an addition to the script that creates the Evernote item with the NNW item’s “summary” data if the description data is blank. Hope that this is at least a decent work-around until we get to the bottom of things! I am going to send Brent at NetNewsWire a “bug report” in case this is related to the beta code….although it could be just the way Gawker Media formats its RSS feeds. Download the updated script and let me know if it works for you! Justin, Your updated script appears to work just fine! Many thanks. Excellent work. But you say that the dialog boxes are optional? How do I turn them off? I would like to run the script without any further input. When we were talking about “optional dialog boxes” in the thread above, it was to say that the notebook selection portion has now been streamlined into an optional feature. If you want the script to put items into your default Evernote notebook without any tagging, you could edit out the dialog box portions of the script. If that’s not something you feel comfortable doing, you can commission a custom version from me and I’ll tailor it to your specifications! Just wanted to say thanks for this. I stopped using Evernote for a while but since switching to OS X I’ve given it another look. Great script you have here, it makes NNW and Evernote a pretty useful combo. LinnDrum 2: New Design, New “Beat-Centric” DAW-Synth, 2009?